She has been seen in HEBBURN (2 series) for BBC2 and BIG BAD WORLD for Objective directed by Sandy Johnson, SKINS, LOVE SOUP, MIDSOMER MURDERS, RORY BREMNER'S COALITION REPORT and Janet Grimley in THE GRIMLEYS for ITV. Recent stage work includes THE INTERVENTION with The Comedians Theatre Company at the Edinburgh Festival directed by Braham Murray at The Royal Exchange Manchester. 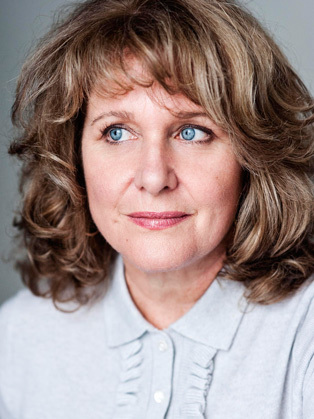 Theatre credits include THE CHILDREN'S HOUR, directed by Sarah Frankcom, for the Royal Exchange; RSC, Chichester and Birmingham Rep.
Jan is a frequent guest of NEWSNIGHT, QUESTION TIME, MOCK THE WEEK and was a popular contestant on STRICTLY COME DANCING.